The Concert is another painting by Vermeer that deals with the theme of music. The three figures form a music ensemble; they play, keep time and sing in harmony. 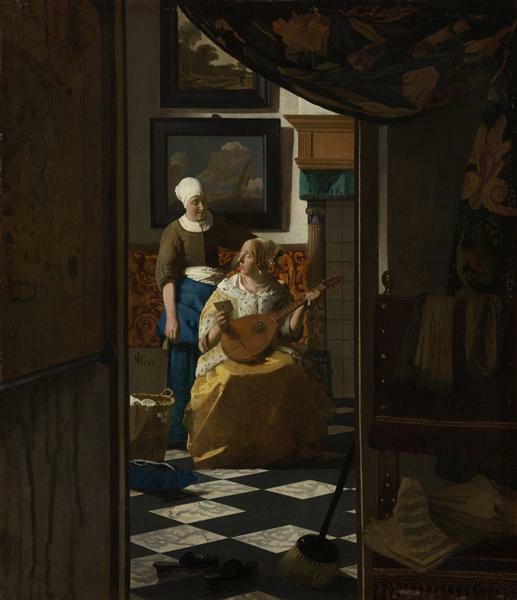 Music functions as a metaphor for harmony in love, and Vermeer’s intimate, quiet scene embodies qualities of moderation and harmony. The setting, furniture and clothes help identify the music players as members of the upper classes. The man playing the lute, for instance, wears an intricate sash and sword, symbols of social status. The Concert also shares commonalities with Vermeer’s The music lesson (ca. 1662-1665), another painting in which music is a central theme. For example, in both paintings, Vermeer chose to include the bass viol in the foreground. The additional instrument is a way to amplify the idea of shared pleasure and potential harmony in music and love. 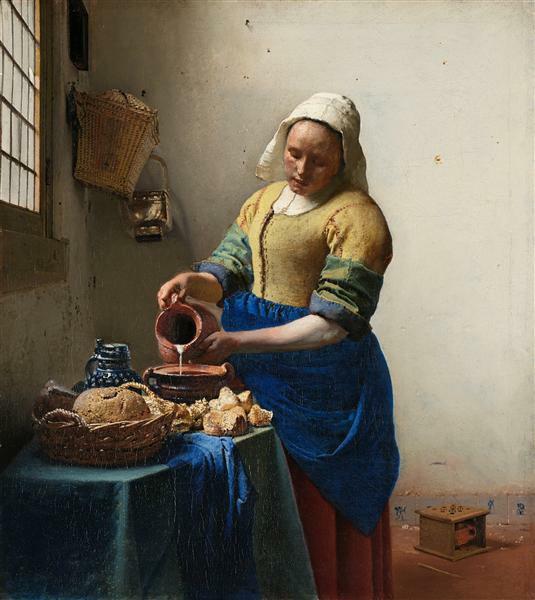 The element of a picture within a picture is recurring in Vermeer’s artwork. Generally speaking, many artists used the picture presented in the background as a way to relate to the central theme of the painting. In The Concert, there are two painting hanging in on the back wall behind the players. On the left side hangs a pastoral landscape painting that relates to the landscape painted on the lid of the harpsichord. The second painting on the right side is Dirck van Baburen’s The Procuress (1622). Baburen was an important figure of the Utrecht Caravaggisti, a group of Baroque artists influenced by the art of Caravaggio, that were mainly based in the Dutch city of Utrecht. The Procuress depicts a brothel scene, a popular subject in Dutch genre painting. Baburen’s painting is also a composition of three figures: the prostitute, the customer and the procuress. The scene in The Procuress offers a thematic contrast to Vermeer’s ensemble. 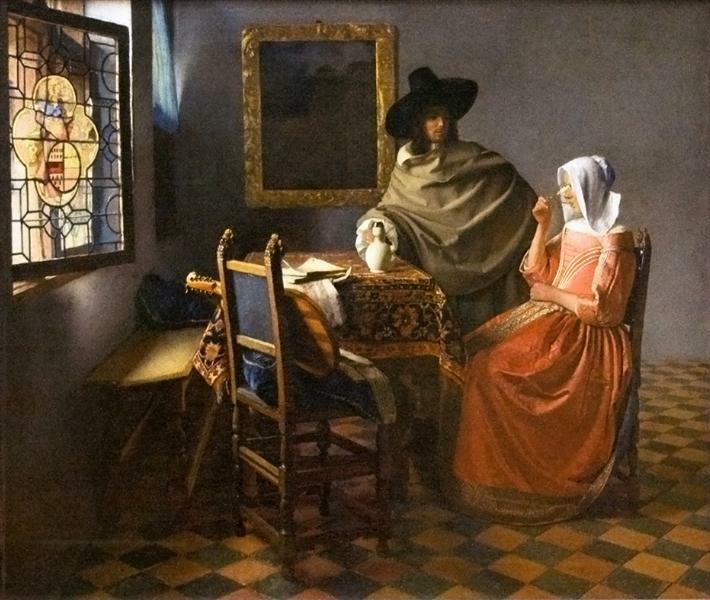 While in Baburen’s painting music is associated with illicit love, Vermeer’s musical trio embodies the ideals of harmony and moderation. 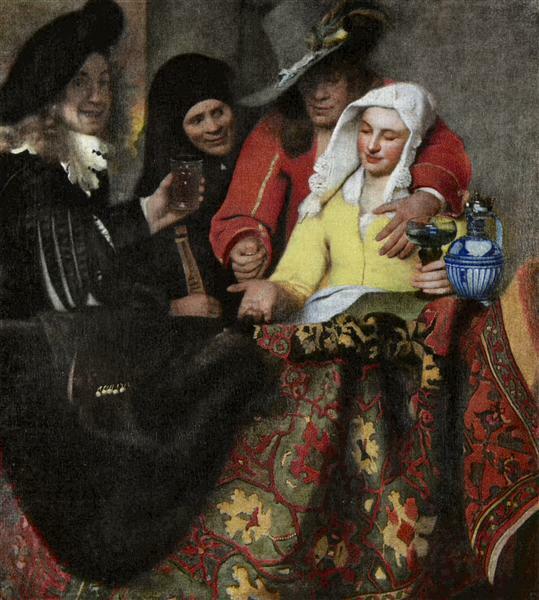 The Procuress also appears in the background of another painting by Vermeer, A young woman seated at a virginal (ca.1670-1672), which was painted approximately six years after The Concert. There are at least three versions of Baburen’s painting, one of which belonged to Vermeer’s mother in-law, Maria Thins, who owned a collection of art produced by Utrecht Caravaggisti painters. The first documentation of The Concert was only in 1780. The painting was acquired in 1892 by art patron and collector, Isabella Stewart Gardner at the auction of Théophile Thoré-Bürger collection. Thoré-Bürger was a French art critic and journalist, who played a key role in the rediscovery of the works of Jan Vermeer in the 19th century. 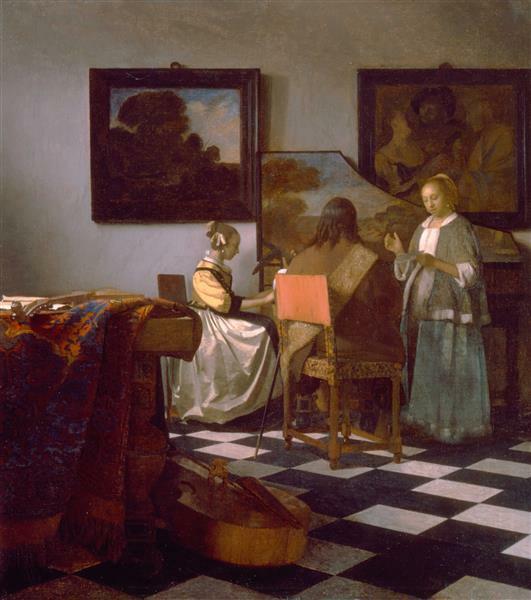 The Concert was one of the first Vermeer’s to be brought to the United States, and was exhibited in the Isabella Stewart Gardner Museum in Boston. In 1990, The Concert was one of thirteen artworks stolen from the museum, and it has yet to be recovered. The Concert (c. 1664) is a painting by Dutch painter Johannes Vermeer. The 72.5-by-64.7-centimetre (28.5 by 25.5 in) picture depicts a man and two women playing music. It belongs to the Isabella Stewart Gardner Museum in Boston, but was stolen in 1990 and remains missing. 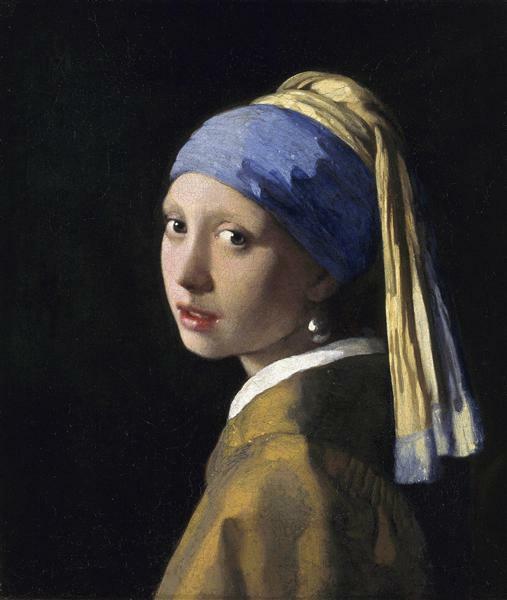 It is thought to be the most valuable unrecovered stolen painting ever, with a value estimated at over $200,000,000. The picture shows three musicians: a young woman sitting at a harpsichord, a man playing the lute, and a woman who is singing. The harpsichord's upturned lid is decorated with an Arcadian landscape; its bright coloring stands in contrast to the two paintings hanging on the wall to the right and left. A viola da gamba can be seen lying on the floor. Of the two paintings in the background, the one on the right is The Procuress by Dirck Van Baburen, a work which also appears in Vermeer's Lady Seated at a Virginal, probably painted around six years after The Concert. The painting on the left is a wild pastoral landscape. The musical theme in Dutch painting in Vermeer's time often connoted love and seduction, a motif reinforced by the presence of Baburen's sexually exuberant picture. The location of the painting was unknown for a long time. Sold in Amsterdam in 1696, it did not reappear until 1780. It was acquired by Isabella Stewart Gardner in an 1892 auction in Paris for $5,000 and subsequently displayed in the Isabella Stewart Gardner Museum, beginning in 1903. On the night of March 18, 1990, thieves disguised as policemen stole 13 works out of the museum, including The Concert. To this day the painting has not resurfaced.